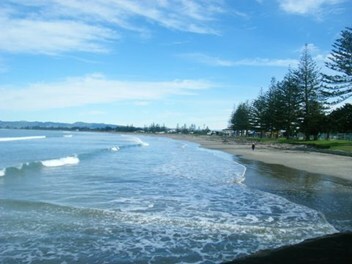 Waikanae Beach is very popular and is located only one kilometre from the centre of Gisborne City. There is a motor camp directly behind the beach. Waikanae Beach is home to the Gisborne Waikanae Wainui Surf Life Saving Club. Waikanae Beach is popular for many activities and is reasonably safe and swimmers should swim between the flags. The beach is patrolled during weekends over summer and school holidays by professional Lifeguards. This beach is great for families large and small, with typically small waves and great facilities. It is patrolled by Surf Lifeguards during the summer months. 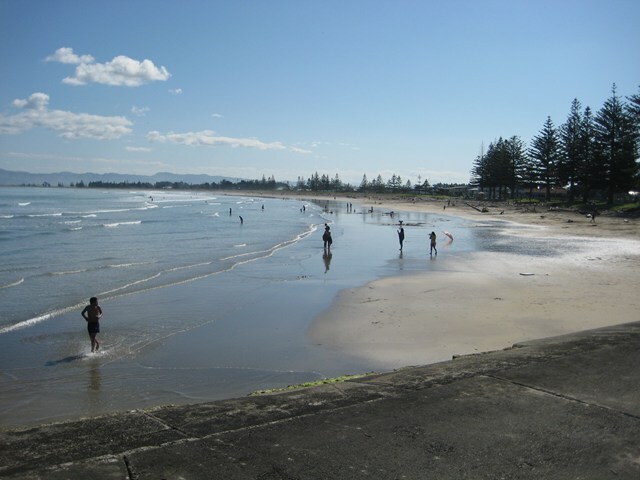 Waikanae Beach is very popular for swimmers as it is only one kilometre from Gisborne City shopping centre. Waikanae Beach is quite safe for swimming when swells are small, but rips and holes can form if the surf is in excess of one metre. Waikanae has a low swash gradient and swimmers can go a distance offshore before they reach head height water. Waikanae Beach is safer for swimming than Midway Beach. Waikanae Beach can have good waves but surfers tend to head closer to Midway Beach where the waves have more push and size. When the swell is large in town, Waikanae Beach becomes very popular for surfing as it is easier to get out the back of the break. The beach has a very low swash gradient and surf casting from the beach will only reach shallow water. The nearby breakwater is a very popular fishing location and many varieties of fish are found here. However, fishing from the breakwater is dangerous. The beach is our favourite playground, but it can also be a dangerous place. Learn about the hazards at Waikanae and be prepared so you and your family can enjoy the sun, sea and sand safely this summer. Waikanae is a patrolled beach. Waikanae Beach is patrolled on Saturdays, Sundays and Public Holidays from 11 November 2018 to 17 March 2019. Volunteer lifeguards patrol from 1:00pm to 6:00pm on Saturdays and 10:00am to 6:00pm on Sunday between 17 November 2018 and 17 March 2019. A Regional Lifeguard Service operates from 10:00am to 6:00pm from 22 December to 2 January. 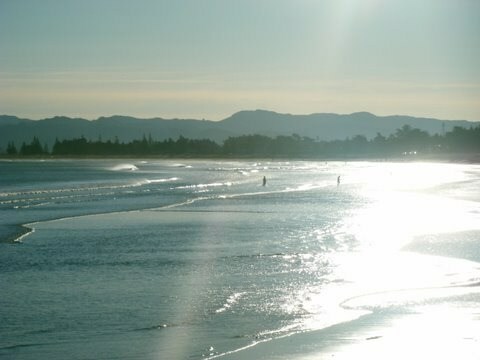 Waikanae Beach is located 1300 metres north of Midway Surf Life Saving Club and 200 metres south of the port of Gisborne. The beach is golden sand with pine trees dotted along the foreshore. The beach faces directly south and is sheltered by the breakwater to the north and Young Nicks Head to the south. Waikanae Beach gets southerly swells and is usually about .5 metres in size. There is a motor camp located directly behind the Surf Life Saving Club that gets full during the summer holiday period. There is not enough data to generate a recreational risk grade.